Magic Software Enterprises Ltd. (NASDAQ and TASE: MGIC), a global provider of software platforms for enterprise mobility, cloud applications, and business integration, today announced that leading German pharmaceutical company, Mundipharma Deutschland (Mundipharma), has selected Magic Software’s Enterprise Mobility Solution to deploy a variety of enterprise mobile apps. Mundipharma is aiming to improve employee productivity and satisfaction by simplifying and speeding business processes through multiple enterprise apps. Mundipharma used Magic’s harmonized application development and integration platforms to quickly deploy multiple mobile enterprise apps, including apps that: enable managers to approve expenses and purchases from their mobile device, provide employees with mobile access to the employee directory, and allow its field sales force to order promotional materials from anywhere, at any time. Magic’s cross-platform application development capabilities enabled Mundipharma to create applications that can be deployed to Windows Mobile devices and desktop as well. Magic’s integration platform provides the required connectivity to enterprise data from assorted backend systems including the company’s SAP ERP, its custom planning tool, EDI (Electronic Data Interchange), and Active Directory. Additional apps in planning include a mobile meal plan app, a mobile travel cost settlement app with an option for direct scanning of vouchers, mobile access to the contract database and more. After comprehensive market research on integration tools and development platforms for mobile applications, Mundipharma chose Magic Software’s holistic enterprise mobility solution. “Magic’s platform independence, scalability, ease of use and enormous flexibility made them the clear choice to meet our multi-platform development and integration requirements,” said Berthold Berg, Head of Enterprise Applications, at Mundipharma. “Magic xpi Integration Platform’s prebuilt adapters and broad connectivity enables us to optimize interfaces between applications and lets Magic xpi serve as a central data hub, making our IT infrastructure and maintenance more efficient,” added Berg. “Mundipharma understands that back-end connectivity is a critical component to the success of enterprise mobile apps. 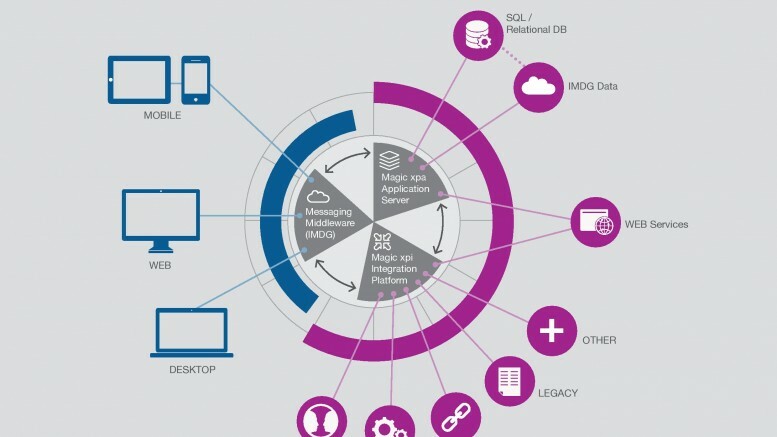 With our friendly, code-free application and integration platforms running on the same technology stack, Magic makes it easy and cost-effective for organizations to accomplish their digital transformations,” added Stephen Romeder, Managing Director, Magic Software Germany.